Welcome to another #MorningWithMeloni! #ThatBusinessShow wakes up early to make sure that we have great content each and every weekday at 8am on #1250whnz! Remember, if you don’t have a radio handy, you can listen to the show on your smartphone using the iheart radio app! Or if you’re on a computer, head to http://www.tampabayradio.com! Today on another great morning we had Frank Parrish calling in. Frank Parrish is with CMIT Solutions of Suncoast! 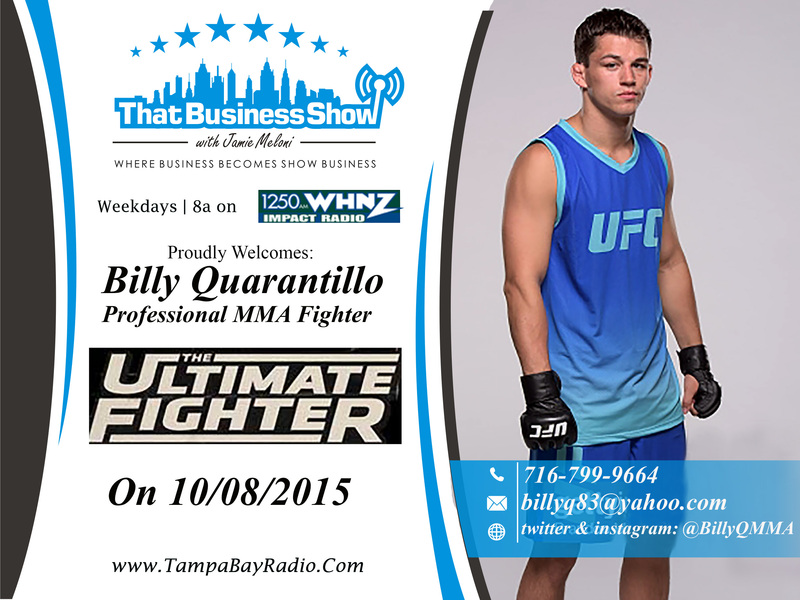 Next on the show was professional MMA Fighter, Billy Quarantillo! And finally, talking about Putnam Health Advocates is the Founder and CEO, Anna Inglett. If you missed today’s show, head over to http://www.tampabayradio.com to tune into the conversation on the #MorningAir! Also, if you have any interest on coming on the show as a guest, head to that site as well as we have a contact form which will get you on the #MorningAir! 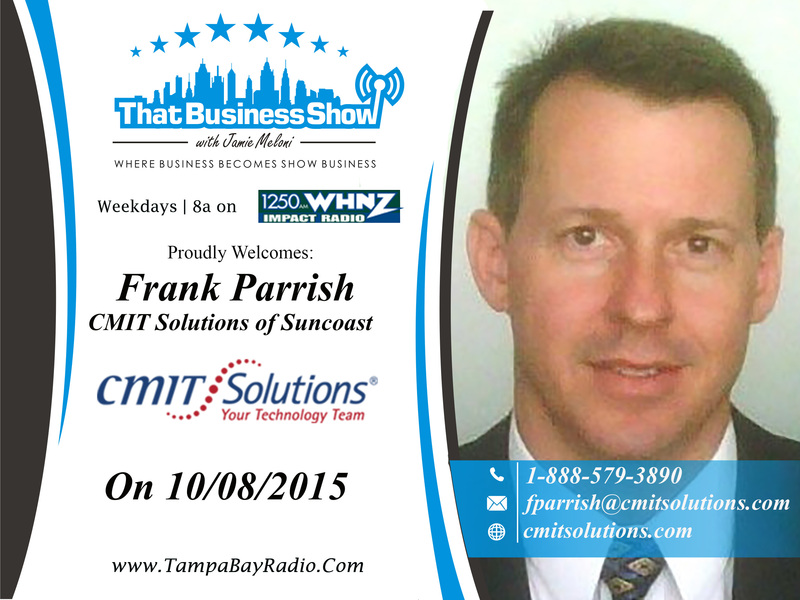 Calling into #ThatBusinessShow this morning was Frank Parrish, with CMIT Solutions of Suncoast. Frank has over 20 years experience in supporting large global clients like Hewlett Packard with manufacturing, financial services, and client interactions through managed IT service based solutions. The insights gained by working with global clients and their global operations has provided key insights and wisdom enabling Frank to share and apply those experiences to a greater client base. Helping clients become more efficient, CMIT Solutions of Suncoast is here for all your IT needs! Head to http://www.cmitsolutions.com or email Frank at fparrish@cmitsolutions.com! Next on #ThatBusinessShow with your Host, Jamie Meloni was Billy Quarantillo! Billy is a professional MMA Fighter specializing in Jiu Jitsu and the Knockout! A New York native, Billy moved to Tampa Bay after earning his associates in Business Administrations to pursue his dream of becoming a world renowned fighter! Currently, he is on the reality TV show called “The Ultimate Fighter” which is tournament to get a UFC contract, the pinnacle of MMA! He spoke to us a little about his time on the show, and what’s in store for his future. He also spoke to our listeners about the nature of MMA, and the different styles and influences and their strengths and weaknesses. If you missed this great inside scoop, head to http://www.tampabayradio.com to hear Billy Quarantilo on the #MorningAir! 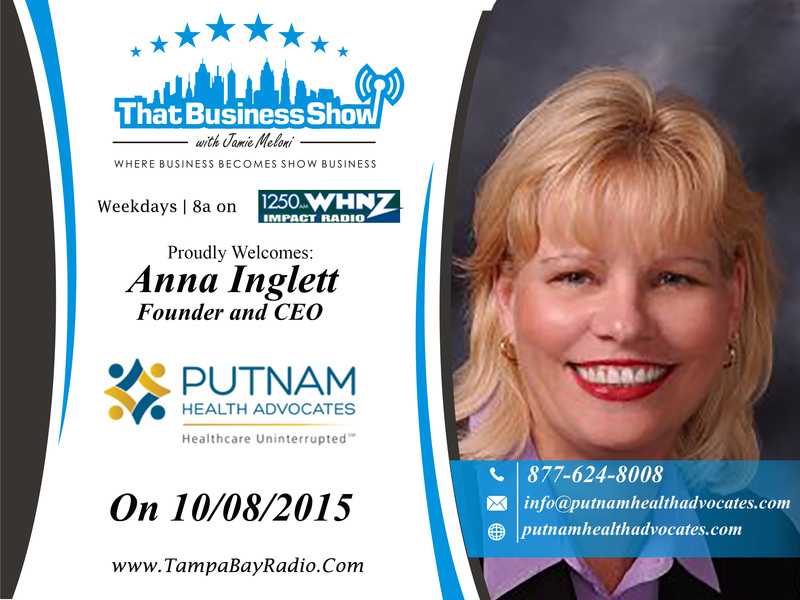 Joining us on the last segment on the show was Anna Inglett, Founder and CEO of Putnam Health Advocates. Putnam Health Advocates helps patients get the absolute best care that they can possibly get, at the lowest cost to them. They handle everything from coming to the meetings between the patient and the doctor to ask those important questions, or even to audit the medical bills to ensure that the cost is actually applicable to the patient. Anna was telling us of a study done by Harvard University which stated that nearly 80% of medical bills are incorrect in some manner. She told us of a story in which a $7,000 medical bill wasn’t even for the correct person! There’s many mistakes that can affect a patient’s healing, but Putnam Health Advocates is there to protect you and ensure you get the best treatment possible. To get more information on Putnam Health Advocates and Anna Inglett, head to http://www.putnamhealthadvocates.com! This entry was posted in Articles, Entrepreneurship and Business and tagged blog, business, health and wellness, radio, talk, word. Bookmark the permalink.